Choosing the right auto insurance is the key to keeping you safe on the road. Look after your biggest investment and everything in it with a proper policy. Keep your business protected so you can focus on your day-to-day operations. Protect your business from expenses resulting from work-related accidents and injuries. Secure a healthy tomorrow for you and your family with individual or group plans. Facing industry-specific risks mean you need industry-specific coverage. Since opening our doors in 1975, Valley Oaks Insurance Agency has worked to provide top-of-the-line insurance solutions to businesses and individuals in Roseville, Sacramento, Rocklin, Lincoln, and surrounding areas in the state of California. Our team is filled with dedicated and hardworking agents, and our staff possesses 100 years of collective experience in the insurance industry. At Valley Oaks Insurance Agency, we pride ourselves on providing our clients with coverage for all their insurance needs in addition to high-quality customer service. We provide insurance coverage in California, Nevada, Utah, and other states, as well. Whether you’re seeking personal policies such as auto, home, or umbrella insurance, or looking for tailored commercial coverage, Valley Oaks Insurance Agency has everything in place to be your go-to spot for insurance needs. Our commercial policies include coverage for workers compensation, business owners policy (BOPs), commercial auto insurance, and more. We work alongside our clients when matching them with the proper coverage. 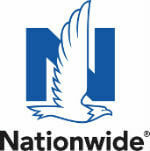 From there, we turn to trusted carriers such as Nationwide, Berkshire Hathaway, Travelers, and more. For additional information regarding our products and services, please contact us at your convenience. There are times when the process of purchasing insurance can be difficult. At Valley Oaks Insurance Agency, our mission is to minimize those, and make the experience as convenient as possible for our clients. After pairing a client with the proper coverage, we’ll meet with them prior to renewal to account for any gaps. If changes to a policy need to be made, we’re happy to make those happen. To start working with one of our friendly agents, please request a quote.